Home medical equipment (HME) ranges the spectrum from incontinence supplies and breathing apparatuses to hospital beds and a variety of mobility devices. There are a few different ways to get the medical equipment and supplies you or a loved one may need; however, some items are not covered by insurance. With items that are covered, there is a likelihood you will be left waiting for unreasonable amounts of time until your medical equipment is delivered to your home. You’ll find the confusing world of HME broadly broken down below so you can more easily navigate through what is covered by insurance, what is not, and how to get what you need. Which Medical Equipment and Supplies Qualify for Insurance Coverage? The two most common types of medical equipment prescribed are durable medical equipment (DME) and disposable medical supplies. Both types are designed to assist patients with their medical needs and activities of daily living. Because DME and supplies cover a vast range of purposes, there are primary determining factors when it comes to insurance coverage. Additionally, each item has unique coverage criteria that must be met in order to qualify for reimbursement. The item(s) must serve a medical purpose. They must be prescribed or ordered by a medical provider. They are required to be appropriate for home use. They need to be able to be used on a continuing basis. The equipment needs to be something that wouldn’t be useful to someone without a disability or injury (solely for convenience). When these criteria are met, many government and private insurance plans will cover part or even all of the expenses related to the ordered DME. Any items that are considered disposable, an upgrade or an add-on to equipment for visual appeal or convenience do not qualify for coverage. In order for an upgrade to meet coverage criteria, it must meet medical necessity requirements. All upgrades must be prescribed by a licensed provider with documentation that shows why it is medically necessary. Items such as adult diapers, humidifiers, and stair chair lifts are not considered chiefly medical in nature, so they are not eligible for coverage. So how do you go about getting the supplies once you learn your insurance will cover it? Continue reading to learn how to get the DME or HME you need. If you or your family member needs DME and you have insurance that may cover the item, you’ll need a written order from your doctor. Getting insurance-covered medical equipment should be a fast and efficient process, but many times patients end up waiting weeks or even months because of regulatory documentation standards. Your physician or specialist needs to perform an evaluation and generate a written order (prescription) for the needed equipment. The doctor will also need to provide additional substantiating medical records such as chart notes or imaging in order to warrant insurance coverage for items like a wheelchair, hospital bed, CPAP machine, orthotics, patient lift and glucose monitor and supplies. For several items, documentation requirements are very stringent. Doctors don’t always know what the documentation requirements are. This leads to a frustrating, elongated process between the medical equipment company, the doctor, and ultimately the patient. For example, to qualify for a wheelchair, the doctor (and sometimes a physical therapist) needs to document medical conditions and assess mobility limitations in order to determine whether payment for the item will be allowed. Does the patient have difficulty getting around the home with a cane or walker? Is the patient unable to perform activities of daily living such as bathing, dressing, or cooking on their own due to their mobility limitations? Does the patient have an injury, disease, or medical condition that requires the use of a wheelchair at home? Is the patient able to self-propel a manual wheelchair? Does the patient have an around-the-clock caregiver? 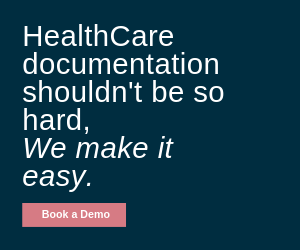 The software (EHR) doctors use does not provide documentation solutions for medical equipment. 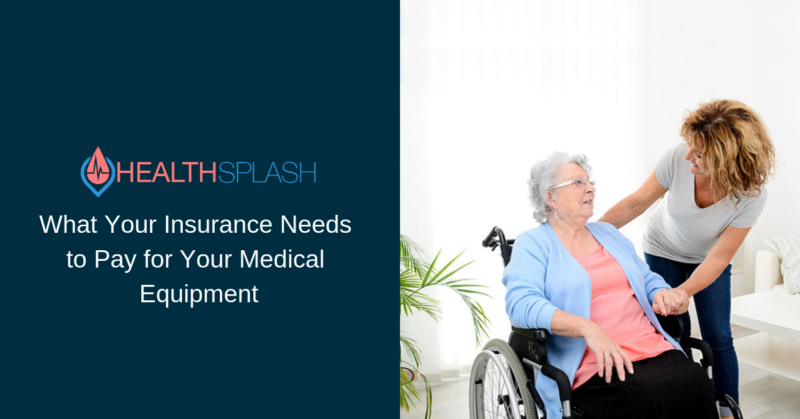 Thankfully, there are software solutions, such as HealthSplash’s documentation solutions that are built specifically for ordering medical equipment and supplies. At the time of order, the software provides the doctor with the required questions needing answered in order for the medical equipment supplier to determine whether the patient qualifies for the ordered item. It also ensures their documentation is complete the first time. This does away with unanswered coverage criteria questions. Smart software solutions like this drastically reduce the patient’s wait time from weeks to only a couple of days. Local DME suppliers can help get the ball rolling with your doctor regarding equipment coverage by your insurance. They will also be very knowledgeable about the products you need as well as the coverage criteria required by your insurance company. Local experts will diligently work with your doctor(s) to ensure all documentation is in place to determine qualification for coverage. Typically, they can look at the chart notes from your doctor(s) and tell you before they ever supply you with the equipment if your insurance will cover the item fully or only partially. There are hundreds of suppliers across the country, and a quick search on the internet should allow you to find a supplier in your area. If for any reason you are unable to get a written order from your doctor, or you don’t qualify for insurance coverage, you can search for a local nonprofit organization. The nonprofit entities often have the following types of DME: wheelchairs, walkers, canes, bedside commodes, overbed tables, and hospital beds. These organizations receive donations from people no longer needing their DME. Many of them even have programs where they loan medical equipment at no cost to people in need. You can reach out to a local agency through Aging or Elder Care nonprofit, religious organizations, or local senior resource centers to see if they have medical equipment lending programs. In some situations, you or your family member may have an immediate need for equipment or supplies. If you don’t have time to search for a nonprofit or get a written order from a doctor, there are ways to purchase equipment out of pocket and get it almost immediately. If you need orthotic bracing to assist with pain management for an ankle, knee or back brace, you may want to check out the SportsBraces store. If you are in need of a walker or cane, any major online retailer (such as Amazon) is a good place to start. The medical equipment companies may offer free shipping, or you can sometimes find coupons and may even stumble upon promotions for first-time customers. For “try before you buy” shoppers, check local drugstores or even Walmart or Bed Bath & Beyond. Sometimes, stores like Goodwill or Salvation Army have medical equipment for sale. These locations typically have a selection of items to help with everyday tasks such as bathing, dressing, and getting around the house. The primary methods of coverage, other than self-pay, are Medicare, Medicaid, VA Benefits, and Private Insurance. Medicare Coverage—Medicare typically only covers 80% of the costs associated with durable medical equipment when the supplies are deemed medically necessary. Medicaid Coverage—Medicaid covers a wider variety of durable medical supplies than Medicare. For example, Medicaid doesn’t have the same limitations concerning the number of supplies and use duration that Medicare does. Also, Medicaid covers hearing aids, while Medicare does not. Furthermore, Medicaid typically covers a higher portion of the medical equipment expense, and frequently it covers all expenses related to covered medical supplies. Veteran’s Benefits—This benefit program offered through the VA covers medically needed equipment and supplies at little and sometimes no out of pocket cost. Private Insurance—Private insurers often cover 60 – 80% of costs associated with medical equipment and supplies. Sometimes they may even cover certain home safety modifications. Similar to Medicare, usually they don’t cover disposable supplies, but at times they may partially cover some of these costs. The HME world is large, daunting, and in many ways confusing. Don’t try to navigate it alone! Talk to your primary care physician and look for local experts in the space to help guide you through the process. 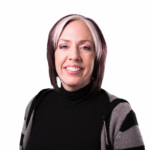 Toni has been in the healthcare space more than 20 years and has primarily worked in the DME space for the following companies: Innovative HealthKare, PainFree Solutions, Coastal Medical Services, Nationwide Therapeutic Shoe, and Home Medical Supply Solutions. As Vice President of Clinical Business Development, Toni is working with a team to build a nationwide network of medical practices and service providers. She is also involved in the creation of documentation solutions to assist in creating a frictionless experience for patients and their healthcare providers. Toni has experience developing products for manufacturers and wholesale development.